Mumbai, Feb 13: After two days of if and when he would be arrested, Maharashtra Navnirman Sena (MNS) chief Raj Thackeray was Wednesday held from his heavily barricaded home here on charges of inciting hatred among ethnic groups. Also arrested around the same time elsewhere in the city was Abu Asim Azmi, the state president of the Samajwadi Party who also faces the same charges. While Thackeray was taken into custody from his residence at Shivaji Park, Dadar at central Mumbai, Azmi was arrested from his residence at Colaba, south Mumbai. Both Thackeray, nephew of Shiv Sena chief Bal Thackeray, and Azmi have been booked under non-bailable sections for promoting enmity amongst ethnic groups by using invectives and provocative language over the presence of north Indians in Mumbai. 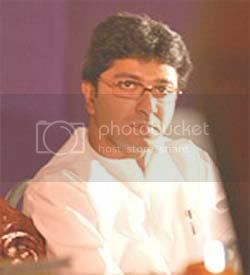 Thackeray, clad in a white formal shirt below a blue sleeveless sweater, appealed to his party members and activists to maintain calm. His father-in-law Mohan Wagh told the media that Raj was mentally prepared for the arrest and would abide by what the law says. An officer from the police station at Vikhroli in central Mumbai told IANS that Thackeray was taken to the court of the metropolitan magistrate in the area. MNS activists had crowded around the court premises since Tuesday, a day after Mumbai Police filed suo motu complaints invoking non-bailable sections of the Indian Penal Code against the two leaders. Azmi would be produced before the Bhoiwada court in south Mumbai. The two days since the complaints were filed saw escalating tension in the state with MNS workers trawling the streets and buses and taxis attacked in various towns. There were also reports of migrants' shops being vandalised and some migrants fleeing the state fearing violence from the MNS, which has stepped up its 'Maharashtra for Maharashtrians only' campaign. As trouble spread, security was beefed up across the sprawling state. "The central government has sent central security forces to Mumbai," Joint Commissioner Of Police (Law & Order) K.L. Prasad told IANS. The Rapid Action Force and the Central Reserve Police Force (CRPF) were deployed at various parts of Mumbai along with the State Reserve Police Force (SRPF), Prasad added. In Pune, Additional Commissioner of Police Rajendra Singh said armed and unarmed policemen had been stationed in all key points. Jeeps and motorbikes loaded with policemen patrolled every nook and corner of Pune. Some MNS supporters had earlier been put behind bars as a precaution to ward off trouble. The situation was similar in tense Nashik, with security personnel keeping tight vigil. While his state teetered on the brink of trouble, Chief Minister Vilasrao Deshmukh was said to be in his home district Latur preparing for his son's wedding. The arrests follow days of violence starting Feb 3 when Thackeray hit out at north Indians - essentially migrants from Uttar Pradesh and Bihar - calling them "outsiders" in Mumbai. This provoked clashes with Azmi's supporters.